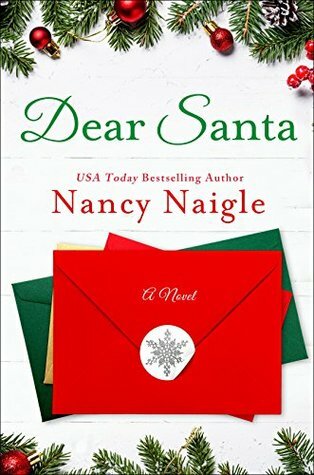 Dear Santa by Nancy Naigle is a contemporary romance that is of course set at Christmas time. Told by alternating the point of view between the characters this one reminds me a bit of You’ve Got Mail the holiday version. Angela Carson inherited her shop, Heart of Christmas, from her grandmother and doesn’t want to admit that after being in the family for generations she is struggling. When a new big box store moves into the small town, Christmas Galore, it may just be the last nail in the coffin for Heart of Christmas. To satisfy her young niece Angela writes a letter to Santa asking his opinion on what to do to try to save the store. Geoff Paisley runs Christmas Galore along with his elderly mother who is having problems with her heart. While his mother is in the hospital she asks Geoff to take over answering the Dear Santa letters that has been her project for years. Geoff doesn’t understand why his mother is so adamant to giving personal replies but when he comes across Angela’s plea he finds himself drawn to her despite knowing she blames his store for the troubles with her business. Dear Santa was a cute holiday romance with plenty of festive content to set the mood of the story. The main couple obviously clash in person but share a spark when they don’t know who they are writing. Both Angela and Geoff were very likable apart from one another obviously sharing their love for their shops and their families so it was just a matter of time to bring them together. Definitely think those looking for a sweet holiday read will enjoy this one. The holiday reviews are upon us!!! This sounds positively adorable, Carrie! 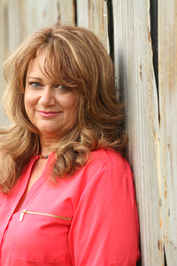 I always try to read Nancy Naigle’s Christmas offering. Wonderful review Carrie, it sounds lovely. A Hallmark movie in the making I think.